(TibetanReview.net, Dec15, 2016) – A group of 82 members of the Diet, the Japanese parliament, on Dec 14 morning announced the launch of a group within the parliament to support the issue of Tibet. 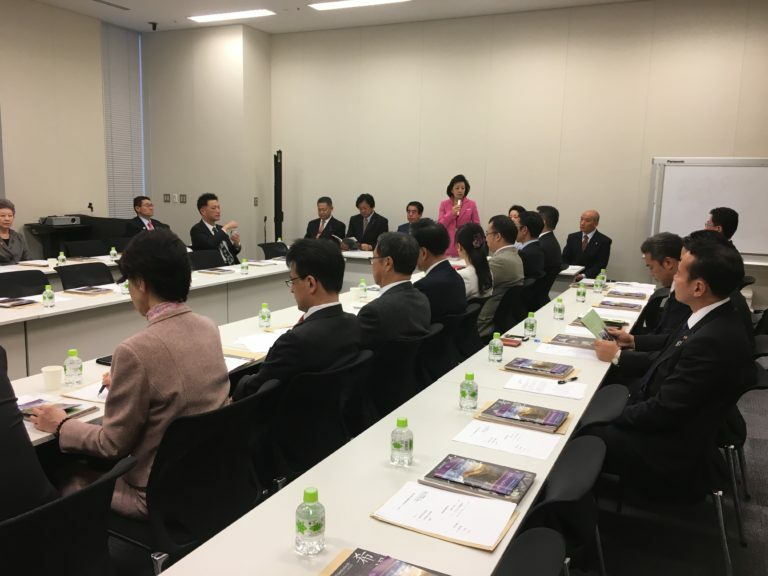 The members of the group – the All Party Japanese Parliamentary Group for Tibet – come from all political parties in Japan and include 58 MPs from the House of Representatives and 24 MPs from the House of Councillors. Addressing the launch ceremony, which took place in the parliament building, Mr Shimomura Hakubun, Member of House of Representatives and former Minister of Education, said the idea for launching the group was mooted during the Dalai Lama’s visit to Japan around five years ago. Mr Hakubub, who is the group’s president, thanked the Japanese Parliamentarians who had expressed strong support for Tibet by hosting the Dalai Lama during his November visit to the country. The 81-year-old exiled spiritual leader of Tibet visited the Japanese Parliament and interacted with 229 MPs from different political parties on the theme “Tibet and Japan in the global world. She said Japanese support for Tibetan people, especially in the field of education, would contribute to the country’s efforts to uphold the principle of peace and non-violence. The gathering was also addressed by Mr Lungtok, Representative of the exile Tibetan administration at the Liaison Office of HH the Dalai Lama in Tokyo.